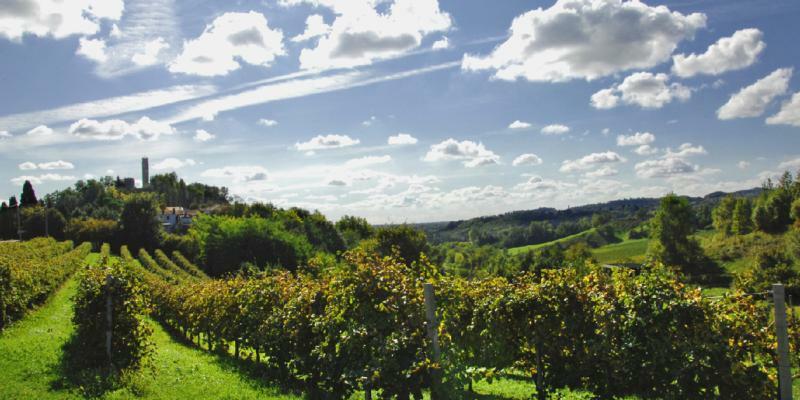 Located in the heart of the famous Prosecco territory between Conegliano and Valdobiadene, Zardetto has been a leader in sparkling wine for more than 40 years. This vibrant and refreshing off-dry Prosecco is produced from carefully selected grapes grown on the finest hilltop vineyards, after which Zardetto's state-of-the-art winery blends modern techniques and traditional practices that result in an acclaimed brut. As one of the first companies to introduce and distribute Prosecco outside Italy, Zardetto continues to conquer the global market with a wide portfolio of high-quality products. Wine Advocate 88"This delicious Prosecco (primarily Prosecco with about 5% Chardonnay included) is a light, frothy, fresh, lively sparkling white with a touch of creamy sweetness. With excellent fruit, freshness, and purity, it is ideal for drinking over the next year." Wine Spectator 86"Here's a value worth celebrating: a thick, full-bodied sparkler with a bountiful honeydew character, light bead and fresh finish."